Well it certainly feels like winter is over! No doubt it will get cold again before it gets warmer but, like many Melbournites, we’ve been enjoying the lovely Spring weather we’re having and starting to plan our summer knitting schedule (every Melbournite does that, right?). So, what’s on this month? Well it feels like it’s been a big month already! 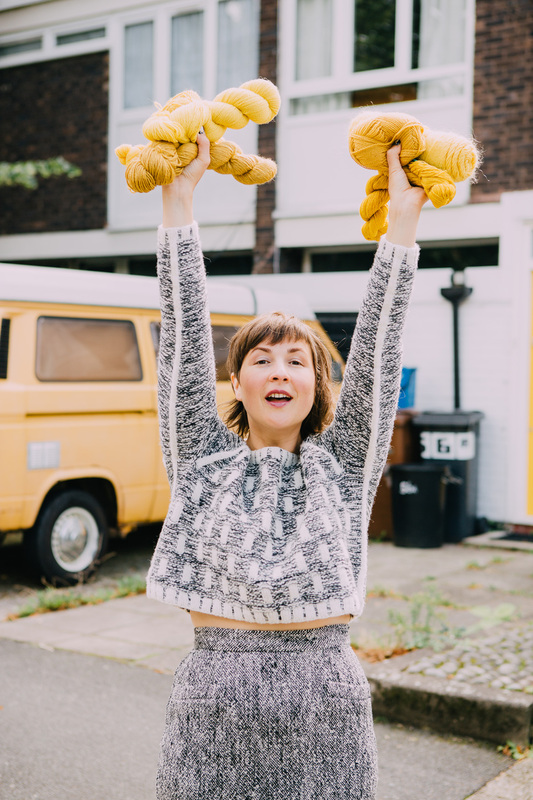 First, on Thursday 1st we had our first ever indie-dyer trunk show with Hannah from Circus Tonic Handmade which was great fun and a great success, we saw a lot of new faces in the store as fans of hers came to squish and buy her yarn in person. We know many people couldn’t make it this time but don’t worry, we have another in the works for later in the year – stay tuned for more details. And to top off an already great day, Anna Maltz dropped in! We tried to play it cool but we, and a few customers, couldn’t help pinching ourselves! Then on Friday we packed the car full of yarn and headed off to The Craft Sessions, and as always had a lovely time in the company of fellow makers, learnt new skills, made new friends (and embarrassingly a couple of us forgot our toothrushes). 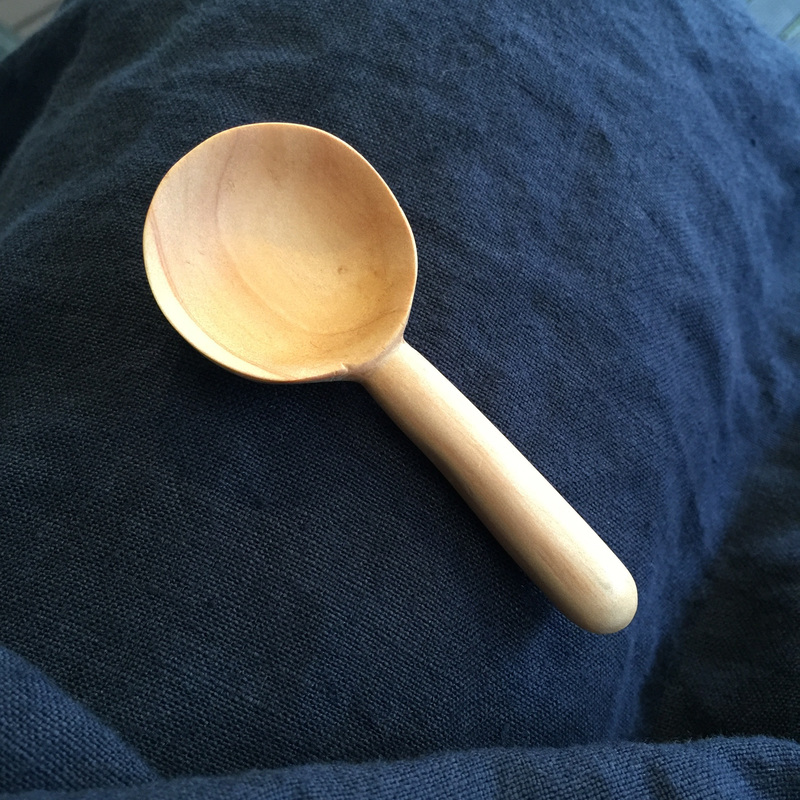 For me, Friday started with a class on spoon carving (that’s carving a wooden spoon from a block of wood, not carving things with spoons as my mum thought) with Alichia from Hearth Collective. It was amazing and both very simple to do but also physically quite hard! My hands and forearms were sore the next day every time I gripped something, obviously knitting does not build up my arm muscles enough! Then on Friday night we got a messages from people saying they had just seen Sunspun on Postcards (episode 30 is here if you want to see). This was filmed a few months ago and I’d forgotten what date it was going to air, so that was a funny surprise. Along side us at the market was Hannah from Circus Tonic Handmade and also Megan from Wooldays, their stalls seemed to always be teeming with customers too. Starting this Saturday 10th September at 10am and running until 5pm the following Saturday 17th September, we have a minimum 20% off all stock* as usual but also 40% off all Rowan books and yarn! As you may have heard in a previous newsletter, we’re phasing out Rowan yarns due to the massive wholesale price increase so now is your time to stock up if you really love a particular yarn. We also have quite a few yarns that will be discounted by 80% – as low as $1.40 / ball! 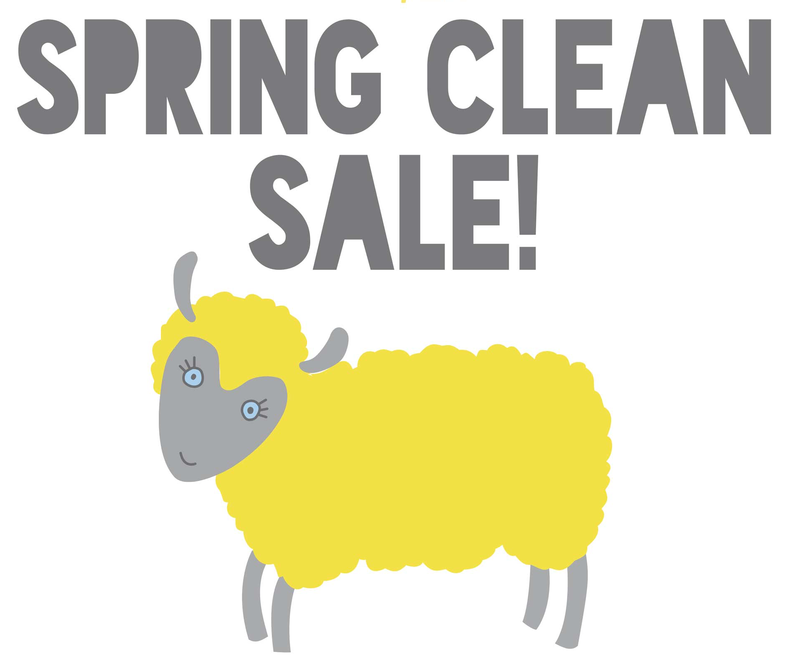 * Sale excludes some items such as gift vouchers, postage, Sunspun memberships, classes, in-store purchase of Ravelry patterns, items already on hold or lay-by and products already discounted. No holds during the sale and no exchanges/returns (unless faulty) of products bought during the sale. We’re pretty excited about this coup! The gorgeous Anna is going to be in the store on Sunday 18th September to meet you lovely people! She’ll have copies of her book Penguin for sale, her garments from the book, including the awesome Humbolt sweater below, for you to see and will give a short talk at 11am! We’ll have tea and cakes on hand too. Come and join us, it’s sure to be a lovely morning (no RSVP necessary). Our Product of the Month for September is White Gum Wool 4ply. 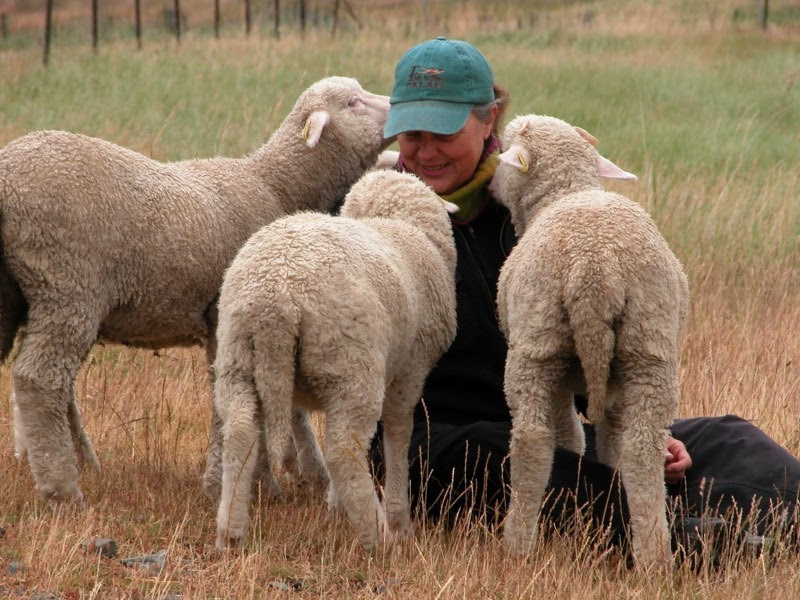 It’s an amazing yarn, produced by an amazing woman determined to do things in a different way, in a better way, Nan – a former marine physicist and an ex-city slicker to boot – combines generations-old shepherding and wool-raising skills with ground-breaking research to produce yarn that is unsurpassed in quality. Read more about it in our blog post. 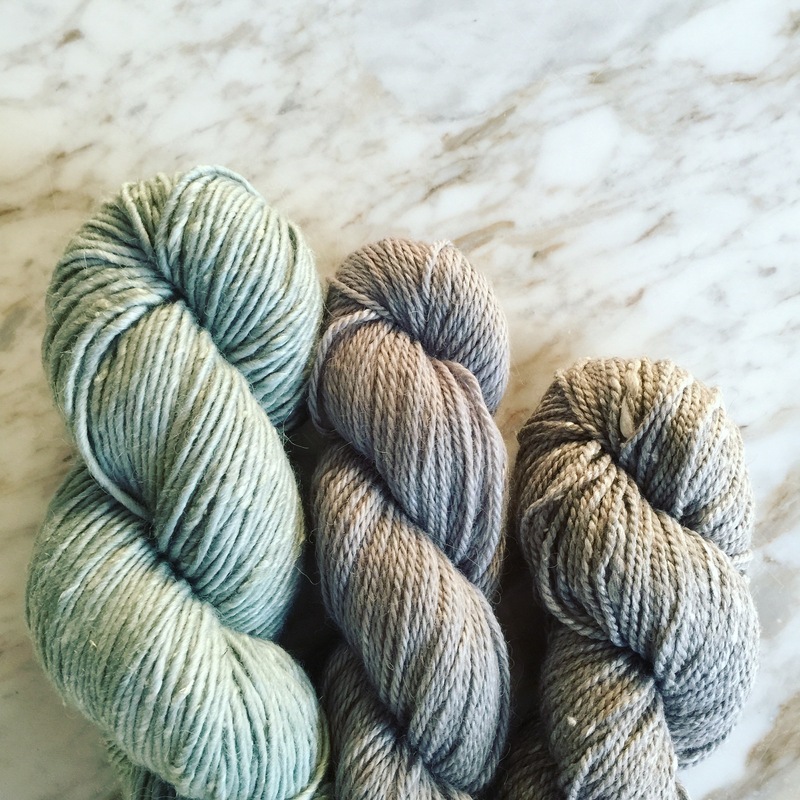 This month we oohed and ahhed over and squished three new yarn arrivals. Road to China Lace by The Fibre Company, Mulberry Silk Georgette by Jo Sharp and Prima by Rosabella threads. 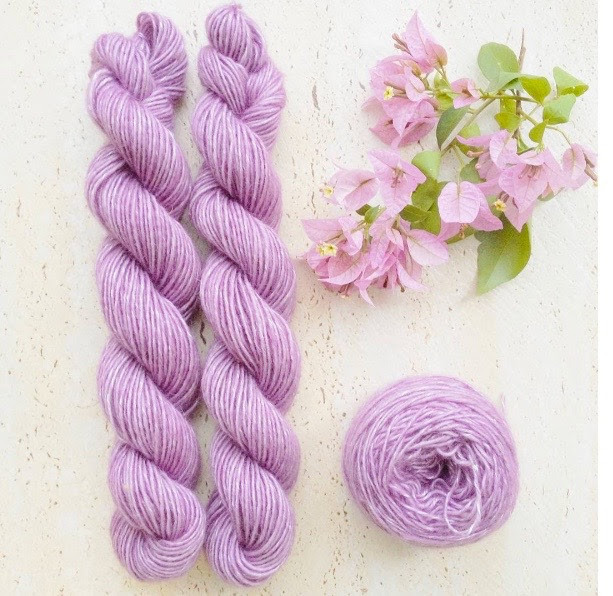 We’ll do a blog post on these later this month to give you the lowdown on these beautiful yarns! Our classes for this term are nearly over, we just have two kids classes for the school holidays left. Adele teaches our children’s classes and is a qualified primary school teacher and heaps of fun, your kids are guaranteed a great time! Our class which was scheduled for next week, “Design your Own Cowl”, has unfortunately had to be cancelled. Our planning for next term is almost finalised, we’ll let you know ASAP when the class list is ready – we know some of you are super keen! Saturday 10th September – Saturday 17th September SALE! Looking forward to another fibre filled month! 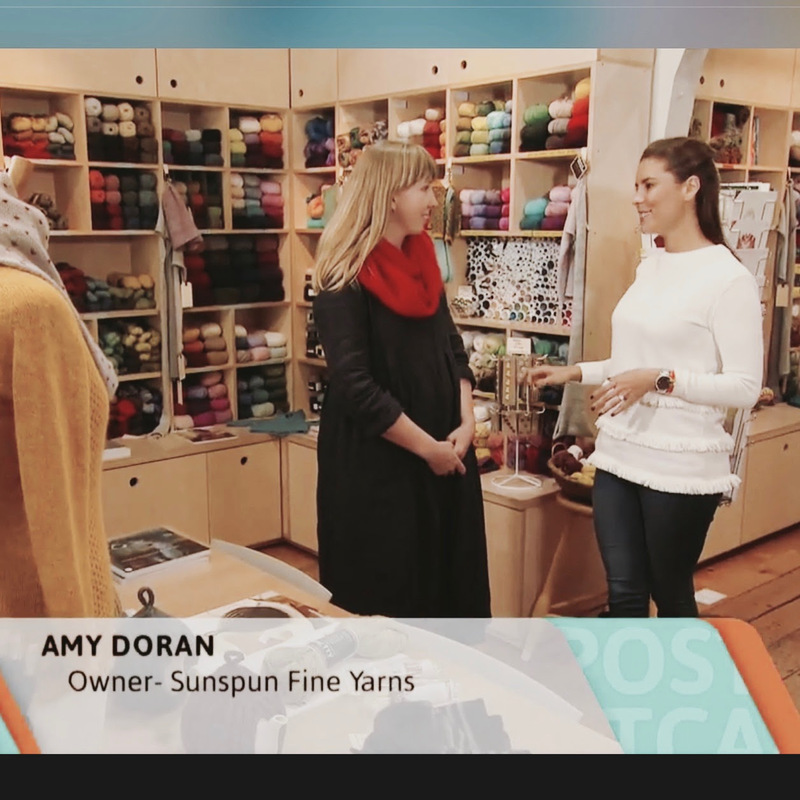 Love Amy and the Sunspun team! In case you missed our chat with Hannah, you can read it here, and submit that leave application, put alternative childcare arrangements in place and organise for the world to spin without you for a little while. That’s next Thursday, 1 September, at the shop between 10am and 1pm. Look forward to seeing you then. 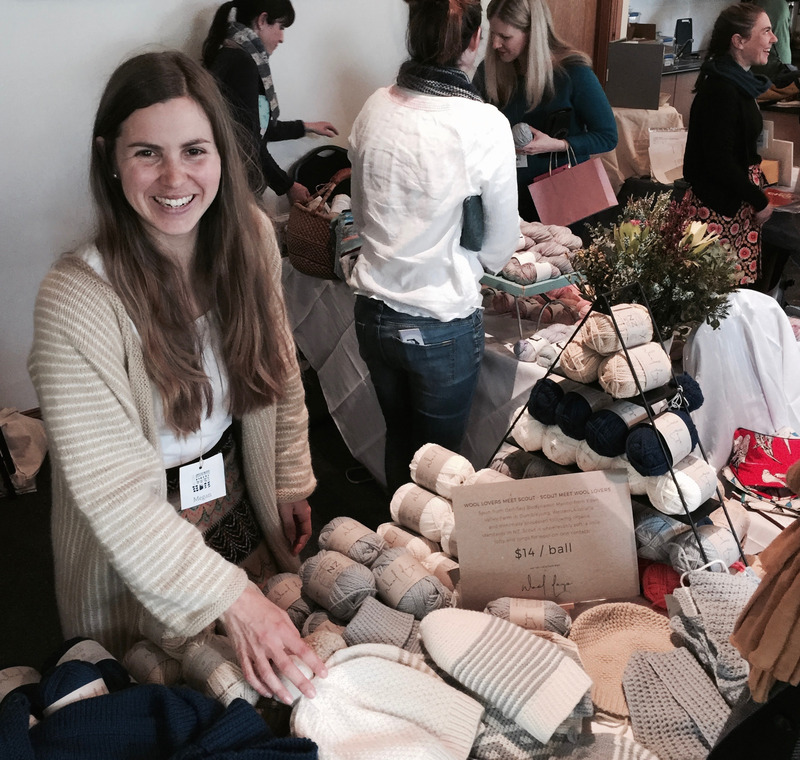 Categories: Uncategorized | Tags: Circus Tonic Handmade, knitting events, knitting Melbourne, Sunspun | Permalink. Whether your dad is after a low-key day or an adrenaline lover, this is the day of days to remind him that he is special and treasured. And how else to tell him than with something handmade with lots of love? Susan Anderson’s Smooth Operator Socks (photographed above) are the ultimate happy socks, and perfect for self-striping or patterning sock yarn. 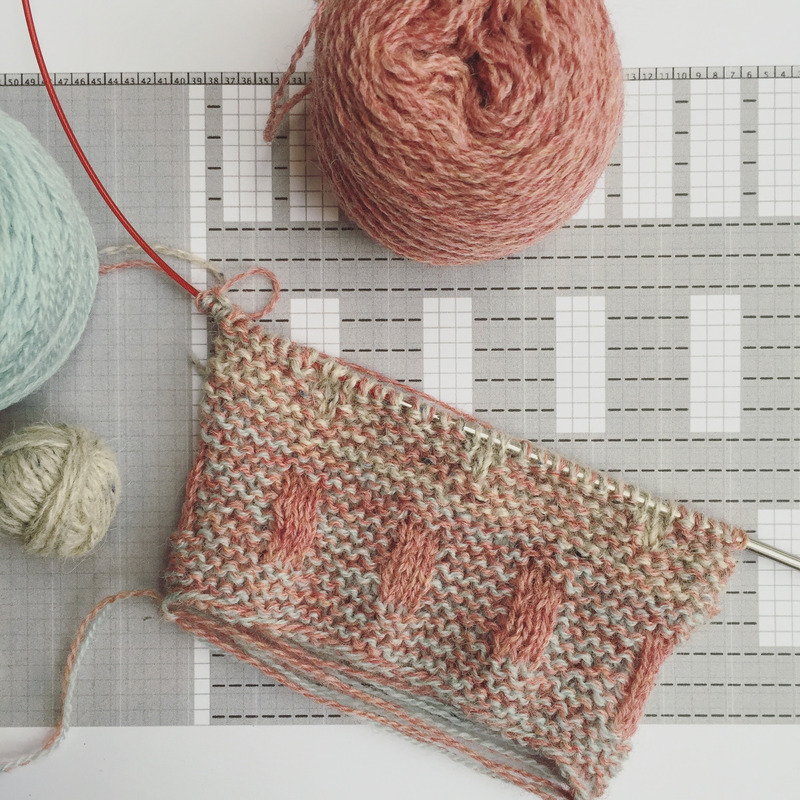 If you don’t mind weaving in ends, you can use leftover yarn to create one-off effects. 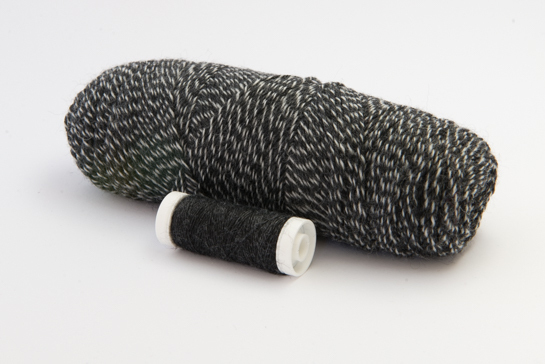 There are also new techniques embedded within the knitting of this sock, including a no kitchener method for heels and toes, and a smoother heel and toe decrease line. This worsted-weight herringbone scarf from Purl Soho is wonderfully lofty, and the stitch is a meditative, rhythmic knit once you get established and can easily ‘read’ the knitting. Make it in the nicest yarn you can find, perhaps something from the Woolfolk range we carry, for an enduring classic to be enjoyed in years to come. Work his favourite colours into Vorfreude by Monie Ebner, a garter and stockinette wrap that is versatile enough to be dressed up and down. You can go for a high-contrast palette, play with tonal variations on his/your favourite colour, or take the monochrome route. Cold-weather game cannot be bettered than in Byway, a chunky cable-knit wrap or scarf by Jared Flood in his new book Woolens. The allover textured fabric keeps the knitting interesting, and you can size up or down depending on your devotion – and time. Wardrobe staples are so easy to overlook because they are so unassuming, but odds are a sweater like this Good Old Friend by Veera Välimäki will be pulled out and worn all winter long. Make it in your favourite DK yarn; we think our Shilasdair or Cascade yarns would wear very well. Shellie Anderson’s Spire is made with Shibui Maai and Staccato to produce a warm, lush fabric. The finish is smart, subtle and it knits up quickly. The Channel Island cast-on looks fabulous; if it’s new to you, it is a technique worth using on other projects. Keep the hands warm and looking smart in these tartan and tweed mitts, which are constructed seamlessly and stranded from beginning to end so there are hardly any ends to weave in. You can dial up the tartan or tweed depending on your preference. We think these would work beautifully in the Rowan Felted Tweed DK, which comes in a large palette. And if dad wears ties, here’s a pattern that’s easily customisable and quietly whimsical too. Very happy making to you, and to the dads out there, hope your football team wins, your horse comes home and you get spoilt utterly rotten. Categories: father's day ideas, inspiration, Knitting, scarves, socks, sweaters, Uncategorized | Tags: father's day, gift knitting, knitting | Permalink. 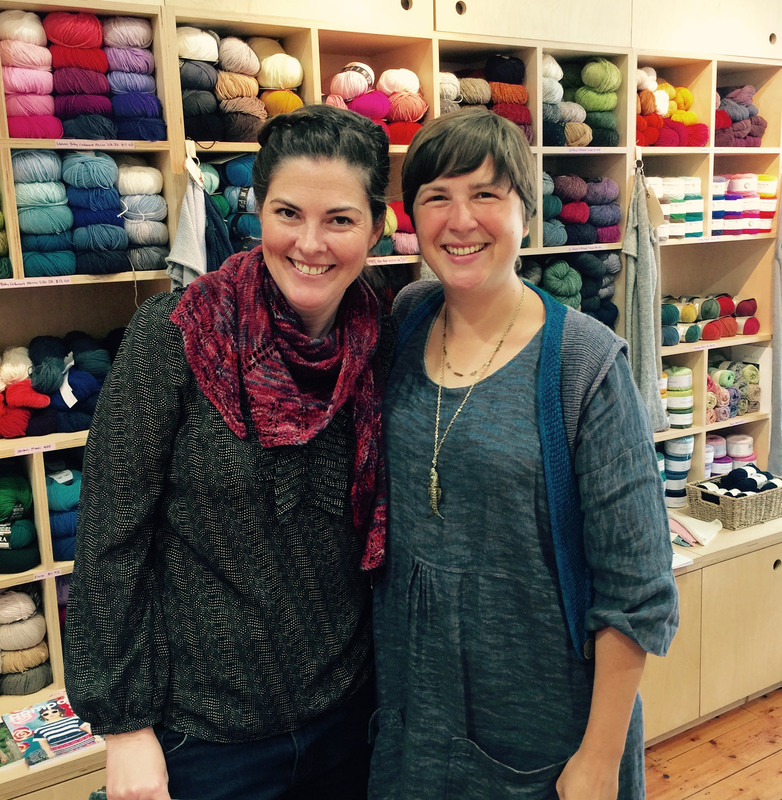 Here’s another first for us – a yarn trunk show! If you hang out on Instagram you may have encountered Circus Tonic Handmade’s beautiful stream, which features Hannah Ginn’s soft, delicately coloured, hand-dyed, handpainted and speckled yarns. Hannah lives in Sydney, but on 1 September, from 10am to 1pm, she will be at the store for some seriously engrossing squish and tell. Do drop by and say hello, and to pick up some goodies for yourself. In the meantime, here’s Hannah! Tell us a little about yourself, Hannah, and the Circus Tonic Handmade story. I live in Sydney with my husband, three kids and Hector the hound. I actually grew up in many parts of Australia and in Dubai before it was the mega-city it is today. My mum is English, so we would go to the UK for holidays. I didn’t return to Australia until uni, and haven’t left since! I trained as a molecular biologist and worked for years in a genomics centre at UNSW. With daycare fees spiralling ever upwards it became counterproductive for me to work. I decided to take a break in mid-2015, take all the kids out of care and start over. Knitting and craft was a salve or tonic for our everyday crazy, loud, circus-like household life … so Circus Tonic Handmade it was. And now, the yarn has taken over! I was home only a few weeks when I saw I needed another major goal to keep my spirits up after such a huge life shift. I had learnt to knit in 2013 when I was expecting my first winter baby, and often spent many hours wondering how I could turn my love of all things fibre and textiles into a business. I had been a huge quilter and knitting absolutely transfixed me once I began. Once I found hand-dyed yarn I was smitten! What were your earliest influences and yarn dreams? I always link back to certain times and places when I’m daydreaming about yarn. I recently found out my grandmother made kilts and then remembered looking through tartan and knitted yoke samples as a kid. I started collecting fabrics on my travels when I was fourteen. I made scrunchies for pocket money and sold them to the cool kids at school in my lunch break! My biggest can-do role model in terms of making is my mum. She used hand-making to survive motherhood, and made lead-light windows, sewed our clothes, grew our food, made our quilts and curtains, stencilled our rooms (eeeepppp! Lol) and has recently started a little residential upholstery school in the Southern Highlands of NSW. Nothing is beyond her – and she actually trained as an opera singer! I remember standing under her skirt as she sang at a wedding, so it’s in the genes. Tell us how you choose your yarn bases, and where you source them from. I’m obsessed and I love all kinds, so my yarns are a mix of Australian and internationally sourced bases. I’m trying new ones all the time, depending on availability and even requests. We love the bird names for your colourways, they are so inspired! How did they come about? I’m always thinking about yarn, and while I pay attention to what’s on trend I really try to keep on my own path. I based my current collection on Australian native birds as I thought that would give me a theme with plenty of scope. Some colourways are immediately recognisable while others take more artistic licence. You have a lovely knitterly understanding of yarn and colour. How much does knitting experience inform your dyeing? I love semi-solid tonals for garments especially as they were the types of yarns I first found as a knitter that I couldn’t resist. I’m newer to speckled yarns but I love how they bring single-stitch pops to accessories. There are so many dyeing techniques to introduce speckles so it’s an ongoing education. From my former life as a scientist I’m used to taking very strict notes, experimenting and delayed gratification, so my dyeing will keep evolving. How do you come up with the colours for an update/release? Do you work thematically, with a plan, or do you follow your nose and let serendipity take the lead? I have sets of colourways that I feel go really well together so I tend to decide which ones will be the core of an update and then build around them. I try to come up with a couple of new colourways each update as customers love new yarn. Instagram is centrally important to any indie dyer as it’s a great way to communicate what’s going on at HQ. I know the sorts of posts I enjoy looking at so I try to give my followers some lovely eye candy each day. I don’t get a lot of time to knit these days and so showing my yarn knit up by talented and adventurous customers is really exciting and informative – I appreciate the sharing of project pics very much. What does a day in your life look like? Do you manage to keep the kids and the dyeing business in neat compartments or does it all meld together in an organic fashion? As business is picking up, Greg my husband is taking more and more of the weekend household and kid duties as I smash out several sixteen-hour days! As he does 55-hour weeks himself that is a huge commitment. Each day I dye yarn, plot and plan, sew bags, visit my saintly post office, and do all the office jobs like photos, labels and packaging etc. We have two kids still at home during the day so we paint, ride scooters inside and generally hum along. They do watch a few too many movies, but I figure as long as I’m in the vicinity it’s OK! Do you still knit a lot? And do you use other dyers’ yarns? I love so many indie dyers! They are too numerous to mention, but in particular I love Skein, Miss Click Clack, The Uncommon Thread, Hedgehog Fibres, Baerenwolle, Madeline Tosh, The Wool Kitchen, Voolenvine Yarns, Knitsch, Spun Right Round and Skein Queen. I am in awe of the colours available in Jamieson & Smith’s Shetland wool. I’m also a huge fan of Patons Dreamtime merino yarns and Bendigo Woollen Mills. I love them all! What and which other designers, artists or creative people inspire you? I have always been a huge fan of Gustav Klimt, and I find it amusing that I see quilting and speckles and swirls all through his paintings and portraits. Knitwear designers I constantly find myself drawn to are Melanie Berg, Ambah O’Brian, Kristen Finlay, Wei Siew Leong and The Lace Eater, and Françoise Danoy. There are so many others – Ravelry is my oyster! My trunk show at Sunspun will be a lot of fun. Retailing online misses so much of the personal interaction with knitters, and I’ve never met a knitter I didn’t like! I will bring a lot of speckled, handpainted and semi-solid tonal sock yarns. My travelling limits what I can bring, but I hope to offer something everyone will like and want to take home. My mum and I are sewing a big stack of very covetable project bags too so there should be lots of delicious items to see. 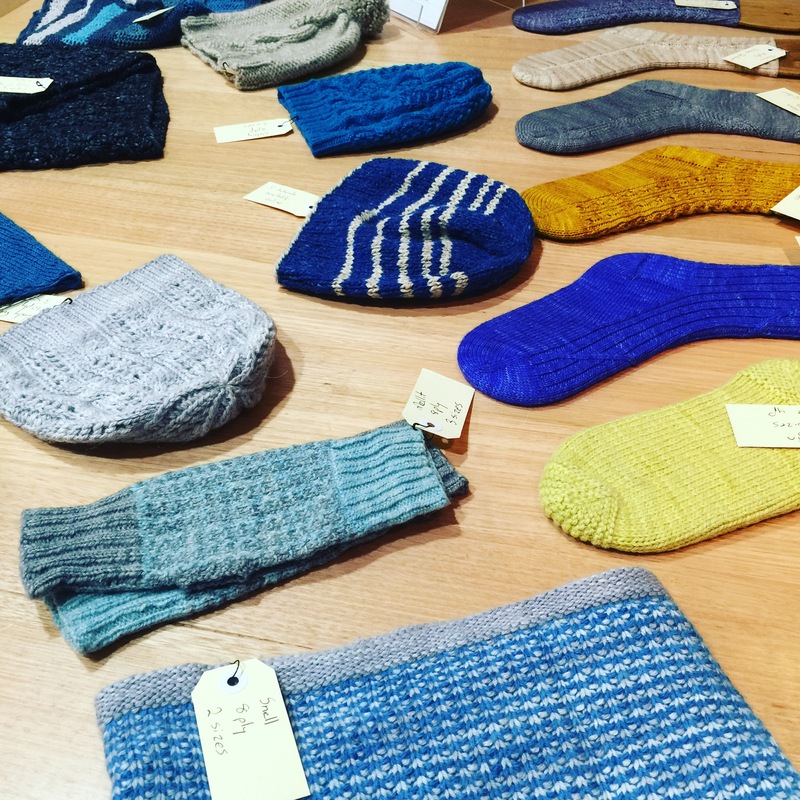 Categories: inspiration, Knitting, knitting knitting yarn, meet the maker, New, Uncategorized, yarn in focus | Tags: Circus Tonic Handmade, knitting, knitting events, knitting Melbourne, Sunspun, things we love | Permalink. Well there’s only one more month of winter left, if (like me) you’ve started a project that you swore you’d wear this winter it’s time to get cracking! We’ve had a few staff movements recently so I thought I’d update you on those. Firstly, Nicole Beasley, who is our pregnant lass, is due in early September and is feeling mighty huge these days so she’s finishing up on this coming Saturday! She’s been an organisational force in the store and has hardly slowed down during her pregnancy. We’ll try to keep things tidy in her absence 🙂 If you want to keep in touch with her, she blogs here http://coledabbles.blogspot.com.au/ and Instagrams here https://www.instagram.com/misscoleyann/. Secondly, Karen Pior has left Sunspun. She was a great asset to the store wearing a number of hats, including managing most of our social media (you’ll have to make do with me now!) as well as teaching for us and helping many customers with their purchases and knitting conundrums. We know you’ll all miss her, as will we. You can keep in touch with Karen on her blog here http://sewwellmaide.com.au/ and Instagram here https://www.instagram.com/knittingmaide/. Lastly, we have a new employee Chelsea Holden. Chelsea has come on board to be the store manager and will be in the store from Tuesday to Saturday. We’ll do an interview with Chelsea on the blog soon so you can get to know her but in the meantime please do say hi and introduce yourself if you see her in store, she’s keen to get to know our regulars. And I should also mention that she’s my sister! The trunk show is on this week til 5pm on Friday. We have 16 of Clare’s patterns on display and they are all on sale for $6 each during the trunk show. We’re also hosting a giveaway of Clare’s booklet Neighbourhood Sheep Society Volume 1 on our Ravelry group Sunspun Fibre Folk, pop over to find out how to enter. Our Product of the Month for August is Lang Jawoll. As usual it’s 10% off the regular price for the month, which makes it $9.90/ball. We have a review on the blog and some suggestions of what you could make with this soft but hardy yarn. Late last month saw the arrival of three new yarns from The Fibre Company and they are ammmmaaazing! We have all colours available in Terra, Acadia and Road to China Lightand coming later this month will be Road to China Lace. We’ll do a blog post on these beautiful yarns soon too. If you’re thinking of making Clare’s Snell cowl, Acadia would be perfect for it! Later this month we’ll be getting in a couple of new 5 ply yarns. The first is Prima from Rosabella Threads. We’re really excited about it! It’s a blend of kid mohair from their farm, ethically sourced Thai silk and merino from NSW, dyed and spun on their antique machinery in Queensland. We’ll have more info on it when it arrives. The second yarn is Jo Sharp Mulberry Silk Georgette which is a gorgeous silk and merino blend with good pattern support too. It’s not this month but very early next month, 2nd-4th September, that The Craft Sessions is on again. We’re very excited to once again be a sponsor, we’ll be including a little goodie in everyone’s gift bags which I think you’ll love. I personally can’t wait to meet Anna Matlz and take her Marlisle class! I’ll be instagramming during the event if you want to see what we’re all up to on the weekend. We’ll also have a stall at the mini-market on the Saturday afternoon where we’ll have lots of lovely yarns for attendees to squish. Phew, that’s it! Looking forward to another fibre filled month!